Want to experience the gems world? 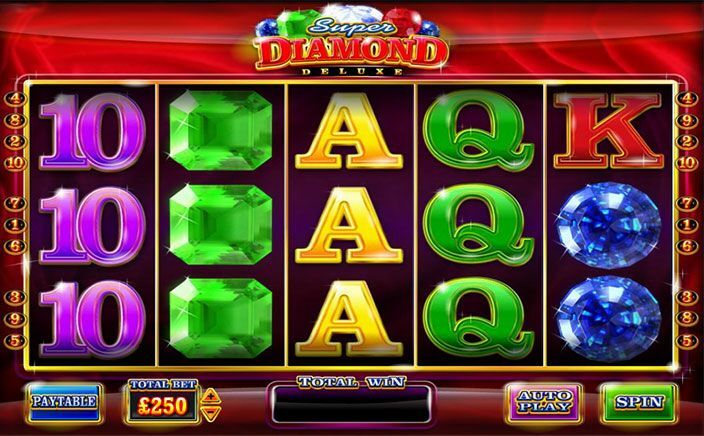 Super Diamond Deluxe slots is creatively designed giving you a royal feel between lavishly adorned reels. The gameplay is different from other slots as there aren’t any wilds or scatters. That is why there aren’t specific combinations for you to aim to drive you towards the win. Super Diamond Deluxe slots is designed by International gaming technology. It has continuously been working ever since 2006 under different names. The company is gradually expanding its hold on the gaming market by exploring all the different themes in their slot games. Moreover, these slot games are well appreciated by casino operators as they have been generating huge funds for them. And of course by the players who derive utmost fun and money out of these. The betting range of the slot begins from £0.20 and goes up to £500. 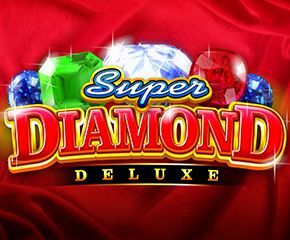 IGT has set a simple gameplay for Super Diamond Deluxe slots keeping in mind the interests of not so pro slot players. However, there are options available for players who want to stake big in this slot. The theme as well represented in its name relates to precious stones. Diamond, rubies, and jades form lovely patterns on the reels to bring payouts for you. There are no wilds or scatters in this slot that forms payouts for you. The reels are 5 in number and they have been set against a crimson red background. Ensuring the simplicity that this slot flaunts for, there are only 10 paylines to aim for. Also, it isn’t necessary that a winline can start only from the first reel. As per the other symbols, there are the regular 10, J, Q, K, and A symbols well poised over the reels. The main bonus is the progressive jackpot feature. The stacked symbols in the slot help in bringing multiple wins for you and hence the payouts. There are no fixed winning combinations needed. You just need to turn the reels to gold which happens randomly while you spin the reels. Having a medium to low volatility, this slots game offers a good RTP of 96.43% to the players. Super Diamond Deluxe slots is best for those players who does not want to apply their minds and just need to have a fun time. The progressive jackpots justify and pacify the stakes for high-risk lovers among slot players by offering huge payouts for wins. Thus, you should really go ahead and try out this slot.